Marijuana is undoubtedly the most widely used illegal drug in the United States and the world. In 2008, according to the National Survey on Drug Abuse and Health, 25.8 million Americans aged 12 and older abused marijuana at least once in the year. That equates to roughly 1 in 10 Americans! It is known fact that marijuana has adverse effects on a user’s health, behavior, and safety. Marijuana became popular in the 1960s and 70s during the "Woodstock" era. Since this time, the average age of marijuana users has dropped from 19 to 17 years old. In other words, users are becoming younger and younger, and access to drugs like marijuana has become easier than ever. Today, adolescents live in a world vastly different from when their parents were kids. Illicit drugs are easier to get than ever before and adolescents are bombarded constantly with pro-drug messages in the media and on the Internet. Due to this fact many people consider marijuana a "harmless" drug. Many people believe that marijuana has nearly no negative consequences. But this could not be farther from the truth. There are a number of Marijuana addiction centers in California that abusers of the drug can turn to should they decide to stop using. 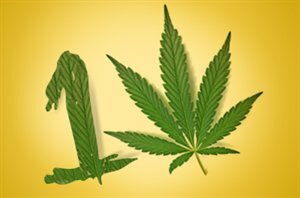 There are many myths about marijuana out there – so many, that we decided to write an article specifically addressing these myths. Next, we’ll take a brief look at some basic facts associated with marijuana.